LONDON, ON – Forked River Brewing has announced details of the second annual edition of a beer that commemorates Remembrance Day and the war veterans that it honours. Flanders Red Ale is a sour beer blended from three batches that were aged for between 8 and 22 months in red wine barrels from Niagara. 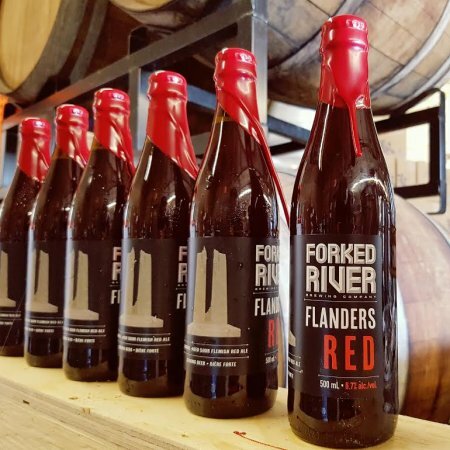 While last year’s version of Flanders Red was available exclusively at the Forked River retail store, where it sold out in less than a week, this year’s edition has been tripled in production to allow it to be distributed to select LCBO stores. Forked River Flanders Red Ale will be released November 1st in a limited run of wax-dipped 500 ml bottles. A portion of proceeds will be donated to a charity that assists Canadian veterans with physical or mental health illnesses.